HuCAL® Fab antibodies can be converted into full length human or chimeric antibodies when an Fc region is required for your application. The variable heavy and light chain genes are cloned into vectors with the desired constant regions and co-transfected for expression in mammalian cells. 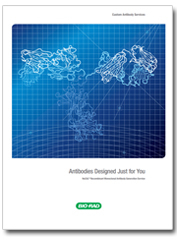 Antibodies are purified and tested by quality control ELISA. Fig. 1. Overview of the process for conversion of Fab to immunoglobulin. Fully human HuCAL immunoglobulins (Igs) of various isotypes are expressed in a human cell line, with secure long term supply. This makes them ideal for bioanalytical assays supporting biotherapeutic development and as surrogates for human sera controls and calibrators in immunoassay applications. Table 1. Choice of Fc region for full immunoglobulin format. With HuCAL technology it is possible to develop a single high-affinity antibody for use in Fab and/or Ig format for pharmacokinetic (PK) studies. In the fully human Ig format it can also be used as a calibrator for immunogenicity testing, or anti-drug antibody (ADA) assays. This eliminates the need for patient or animal sera and greatly reduces assay development time and effort. 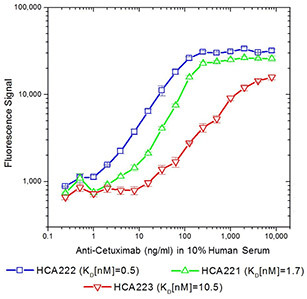 PK assay, bridging format, using anti-cetuximab antibodies HCA220 and HCA221. ADA assay bridging format, using anti-cetuximab antibodies HCA221, HCA222 and HCA223. Fig. 2. 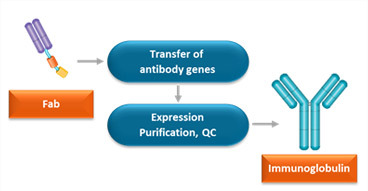 Examples of the use of HuCAL antibodies in full immunoglobulin format in PK and ADA assays. 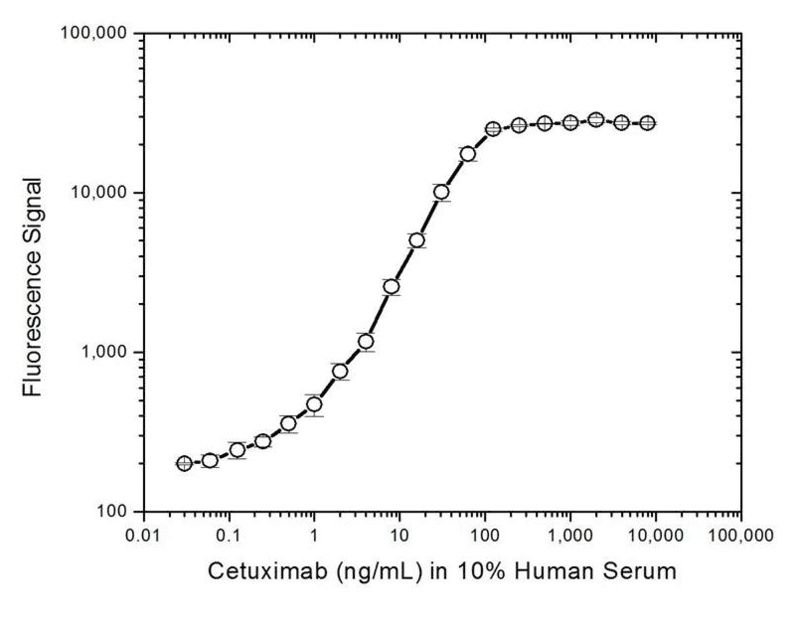 HuCAL immunoglobulins have been successfully used to replace patient sera as a consistent, secure, and fully characterized source of control human antibodies for immunoassays.